Creating an account in the new online catalog is simple. 1. To begin, click on the Log In buttons in the upper right corner of this page. 2. 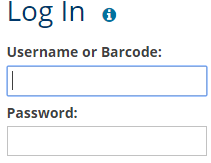 Enter the barcode on the back of your library card and password in the Log In box. 3. On the welcome screen, click Continue to Account Setup. 4. Confirm your email address and birthday are correct and click Continue. 5. Create a username. 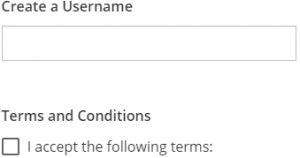 Review the terms and conditions before clicking to accept. 6. Click continue for confirmation of your username. Congratulations! You've created your new catalog account!